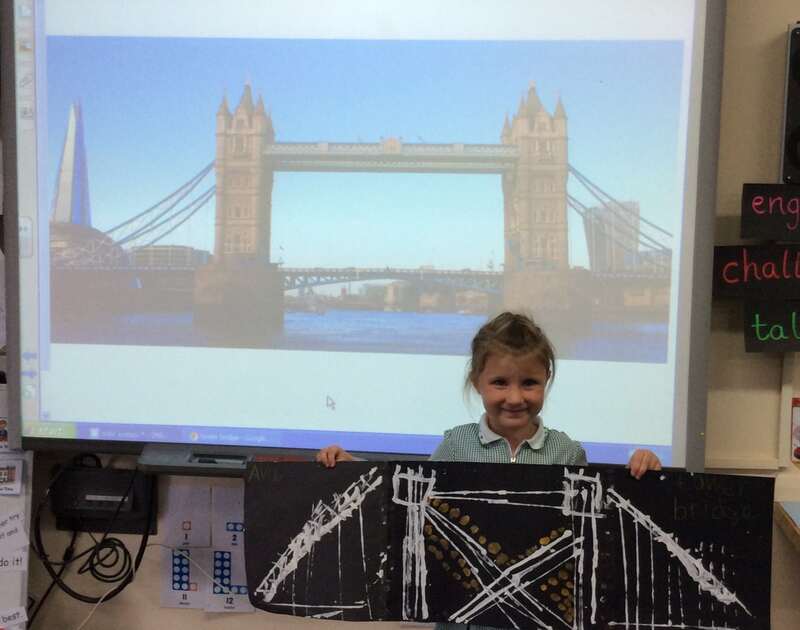 Ava from Class 1 created a magnificent print of Tower Bridge. We have been learning about bridges and experimenting with different bridge structures. Ava looked carefully at the photo and used a ruler to print and fine paint brush to replicate the design.